I politely passed on the offer of a bison burger at a recent Ted Turner-hosted fundraising event I attended in New York City (no, I’m not a donor—we were invited as press). But I couldn’t resist a wisecrack and a wink to the server that it was only because I was full, having had a dog burger on the way over. It is funny, though, how social and environmental change work. 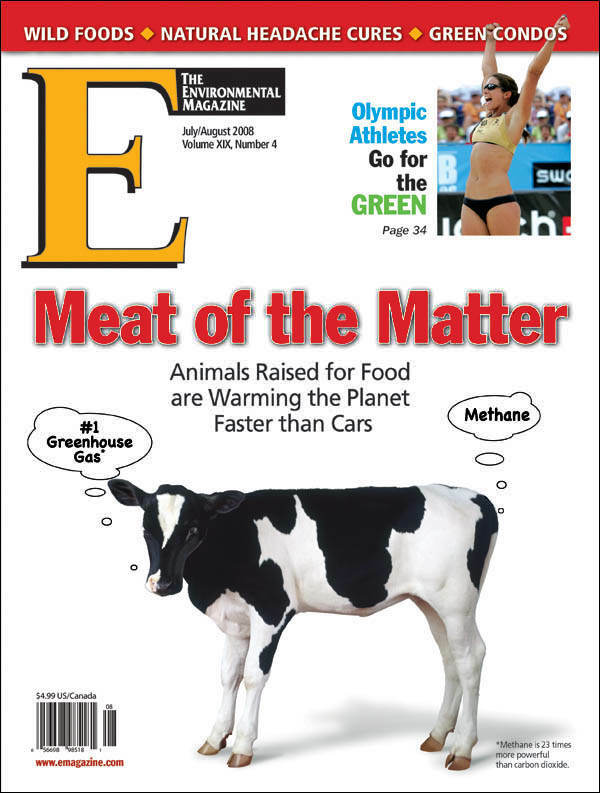 The bad news about meat has been plain as day and out in print for decades (the only new news is that we have now discovered that the industry is also warming the globe). Jim Mason’s Animal Factories (Three Rivers Press), written with Peter Singer and published in 1980, could be re-released today without a heckuva lot of updating. Mason traveled some 10,000 miles around North America with a photographer friend, documenting the horrific conditions on factory farms and what the industry meant for our health, the environment, world hunger challenges and animal welfare. When the book came out, though, the press didn’t want to know about it. Neither did most of the environmental groups or, for that matter, many of the animal welfare groups that were content to focus on their puppies and kitties and charismatic wildlife, which raised a lot of money and sold a lot of wall calendars. Peter Singer’s seminal solo effort, Animal Liberation (Harper Perennial), published five years earlier in 1975, also fleshed out the topic, as have numerous books since—but it’s still steak and chicken for dinner 33 years later at many an environmental fundraiser. Environmental leaders and advocates who resist change in this area need to realize that this is exactly how the world at large reacts when we come at them with our demands to properly recycle, eschew bottled water for tap, opt for the hybrid vehicle (or the bus or the bicycle), replace those incandescent bulbs with compact fluorescents or use both sides of a sheet of (recycled) paper. It’s sometimes not easy to make changes to lifestyle habits that are so ingrained. But if those of us in the trenches are hammering the world at large to do so, we need to look at the poor choices we still make ourselves and do what we’re always telling others to do: change. I don’t buy the so-called promise of bison burgers or even all the organic, grass-fed and “free-range” efforts underway to try to make the meat industry more sustainable. Efforts to get the animals out of small cages and pens are laudable in that they are trying to minimize the suffering these sentient creatures endure under the iron-fisted rule of an industry obsessed with maximizing profits through cold-hearted efficiency. And it is better, of course, if we’re going to eat animals, to eat those that have not been pumped with antibiotics or raised in unhealthy conditions. But it is naéve to think that the meat industry can be transformed back into the idyllic, scenic farms of old, with animals moving about—healthy and drug-free—producing food beneficial to people and the environment alike. That business model might work in small pockets of human settlement, but it is an elitist approach at best that would only suit the wealthy and fall far short of providing for 6.5 billion-plus people. If it tries to, it will just evolve right back to where it is today.